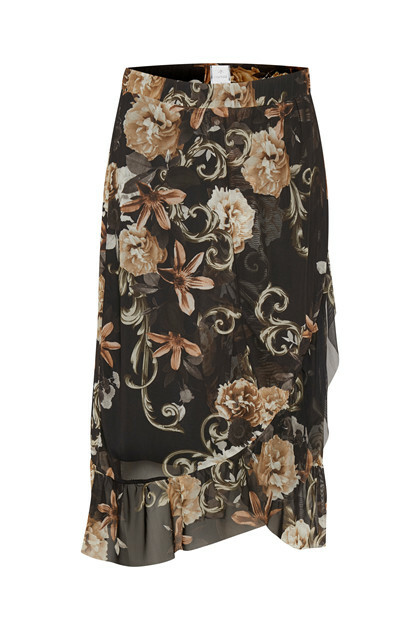 Elegant and trendy wrap skirt from Culture. The skirt has an elastic waistband, an asymmetrical look with a slightly shorter front than back in length and fine ruffles. 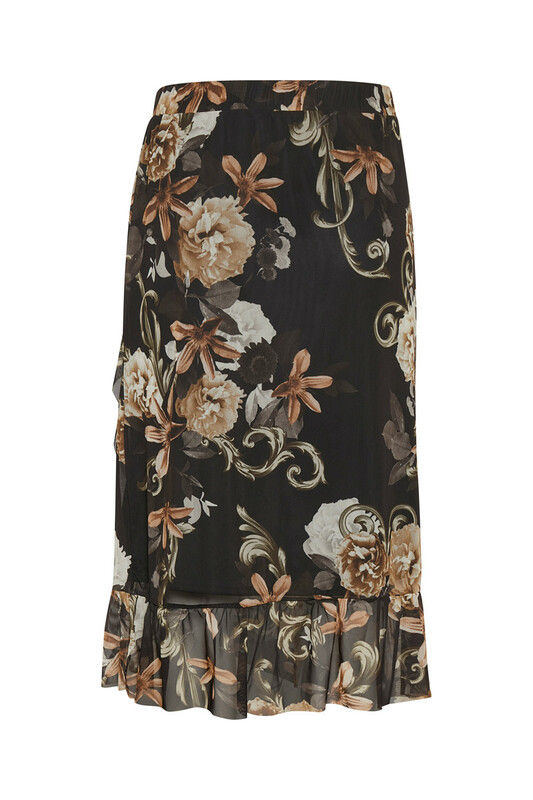 The floral print of the skirt is very eye-catching and trendy. 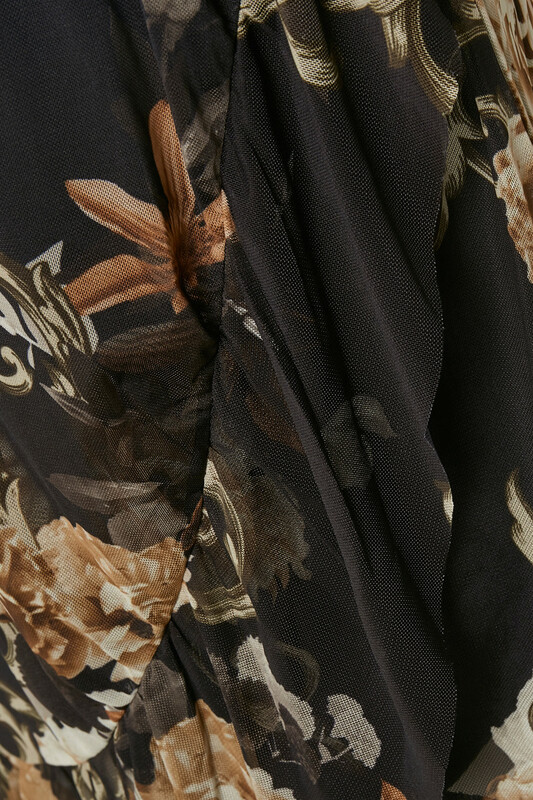 The skirt is perfect for the season and is styled perfectly with your favorite T-shirt and your cherished cozy sweater.